Online bookings are fast becoming the industry standard with more clients going online to search for an appointment. Imagine giving both new and existing clients the option of booking your services 24/7. While maintaining complete control of your calendar, you have the ability to set your online working hours, close yourself off, and even hide services from your online booking form. 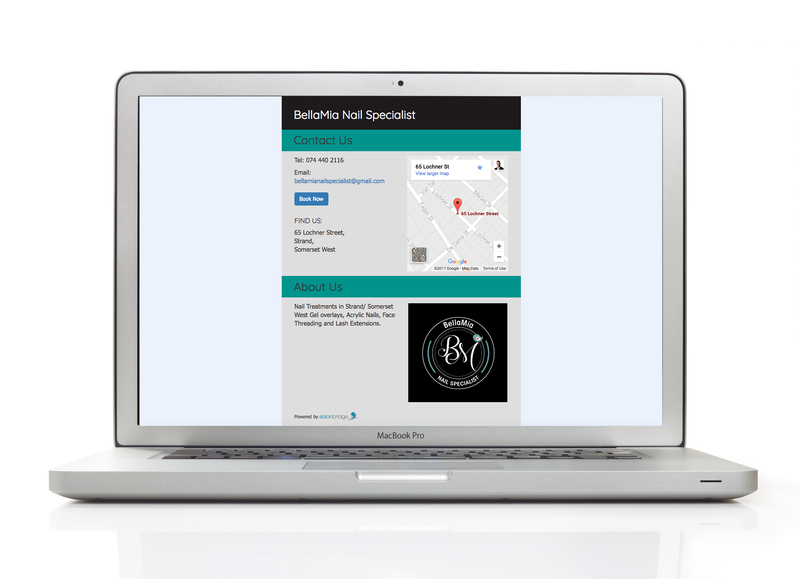 Integrating seamlessly with your SalonBridge Appointment Calendar, the online booking feature is a great way to open your doors to new clients. The online booking feature can be placed on any website or facebook page. Don’t have a website? We will design a professional, online booking page just for you! 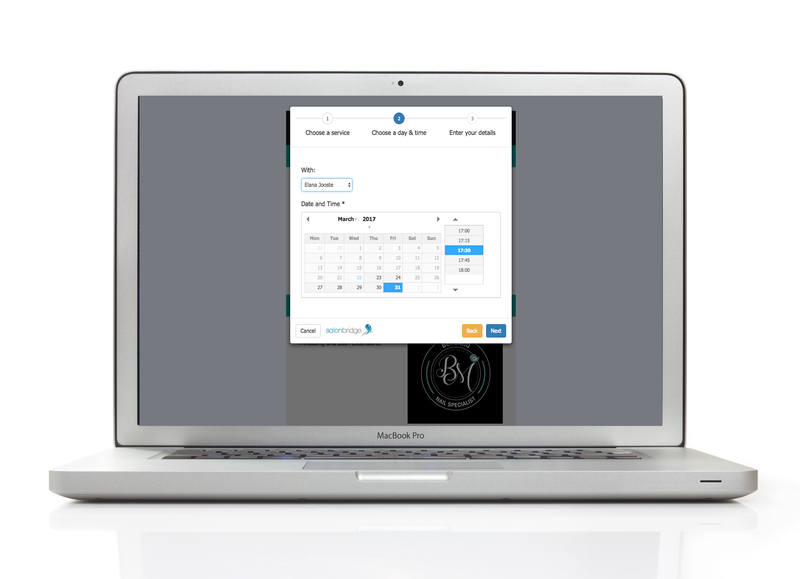 When a client makes an online booking, their appointment will appear automatically in your appointment calendar and you will instantly receive an SMS and email with the appointment details. This allows you to easily edit the date and time, or even cancel the appointment if you cannot accommodate the client. Clients are prevented from booking less than 24 hours in advance, giving you enough time to manage your diary. Requesting a deposit for a treatment, or service is not only a great way to secure a booking, but it also helps to prevent no-shows. SalonBridge allows your online bookings form to process client credit cards before securing the booking. When a client makes an online booking, they choose which services they want to book, an available date and time, and put in their contact information. SalonBridge then asks the client to enter their credit card information for an up-front payment/deposit. You can select to charge your client a deposit of 25%, 50%, or 100% when making their booking. The payment reflects instantly on the client’s account, and you are sent a receipt of the payment. Deposit payments are processed securely through PayFast. Fallen in love yet? – Start your free trial!